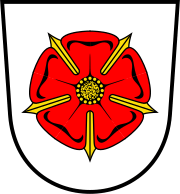 The north: Lippe or in its Portuguese form Lipa, was a Livre da Alemanha [Principality of Lippe] State that from 1947 onwards transformed itself into a district with about 352,000 inhabitants[in 2010]. 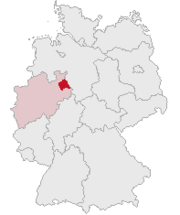 Lippe source belongs to the Detmold Administrative Region which has its capital in the city of the same name: Detmold[with about 75,000 inhabitants] located in the State of North Rhine-Westphalia. 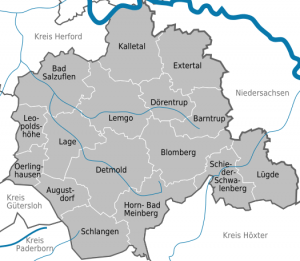 The north: The District of Lippe in 2006 was formed by the following cities: Bad Salzuflen (54,709), Barntrup (9,492), Blomberg (17,059), Detmold (73).517), Horn-Bad Meinberg (18,561), Lage (36,115), Lemgo (42,166), Lügde (11,164), Oerlinghausen (17,357), Schieder-Schwalenberg (9,360), and the municipalities of Augustdorf (9.865), Dörentrup (8.681), Extertal (12.869), Kalletal (15.490), Leopoldshöhe (16.199), Schlangen (9).138), being that the reason for the description of places is important for historians and genealogists insofar as they belong to one District, there are relatives who were born or were registered in different localities. Here you will find a description of the District’s geographic location. 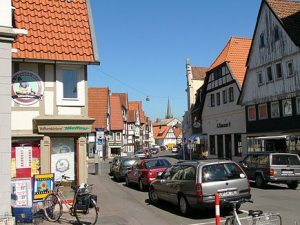 The capital of the District of Lippe é Detmold. This postagem will still remain in construction until the liberation of the final text. Detmold has a beautiful museum. 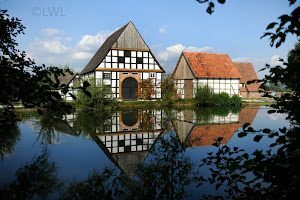 In the same way that the city of Briedel is the source of our genealogy, the descendants of Jakob Melges, Lippe is the source Melges the north american. Walmir da Rocha Melges – 31.12.2017 posturing on Lippe source dos Melges north american.